“Combining Wikitude with the overwhelmingly large user base of BBM around the world creates a completely new form of social interaction. This is the very first time that instant messaging is rolled out in AR on such a large scale” says Andy Gstoll, Chief Marketing Officer at Wikitude. Using the browser is rather easy -- just load it up and point your finder around to see integrated overlays within the app itself. 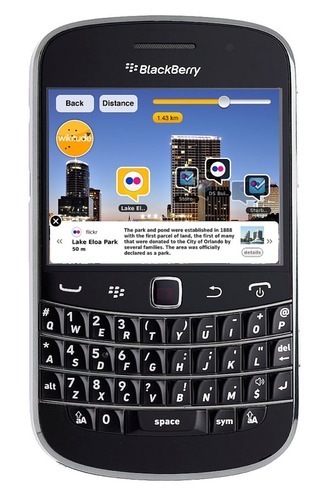 Wikitude will fully integrate the BlackBerry Messenger (BBM) allowing you to interact with their BBM contacts and meet new people in augmented reality as well share info from various places such as YouTube, Twitter and more.